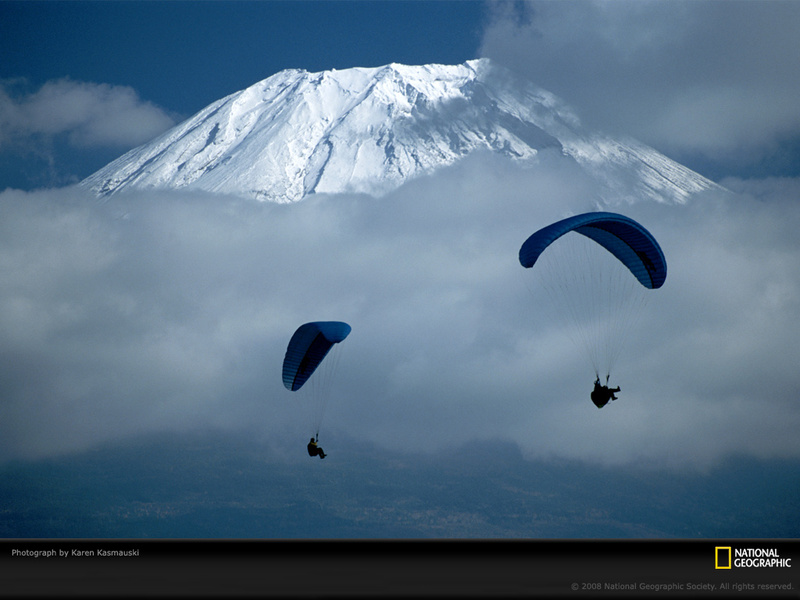 Paragliders float through the clouds that surround snowcapped Mount Fuji in Japan. At 12,388 feet (3,776 meters), Fuji is Japan’s highest peak. But its relatively easy-to-scale flanks draw flocks of amateur climbers to its summit-some 400,000 every year. 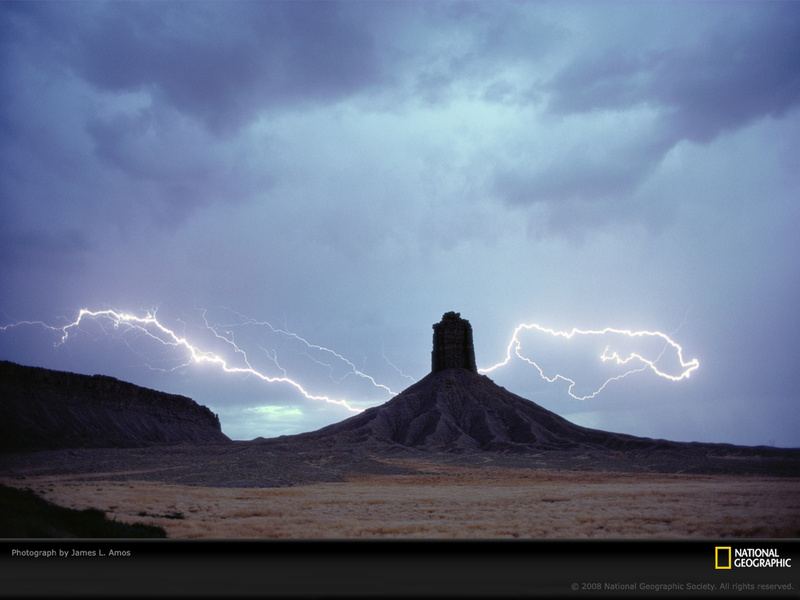 Trails of lightning backlight Chimney Rock in southwest Colorado’s San Juan National Forest. Home to ancestors of the Pueblo Indians more than 1,000 years ago, the area around Chimney Rock has been a designated archaeological area and national historic site since 1970. 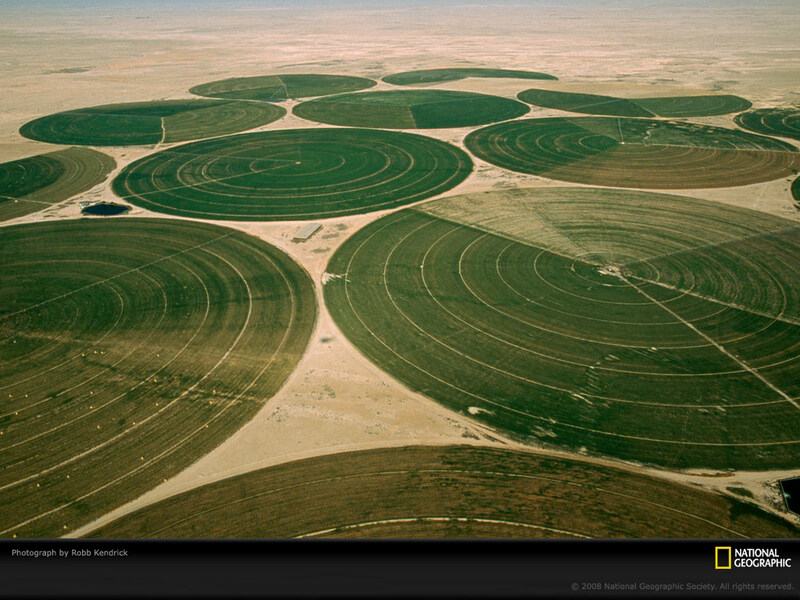 Irrigated crop fields stand out starkly against an expanse of Qatari desert. Such farms provide Qataris with some fruits and vegetables, but most of their food is imported. 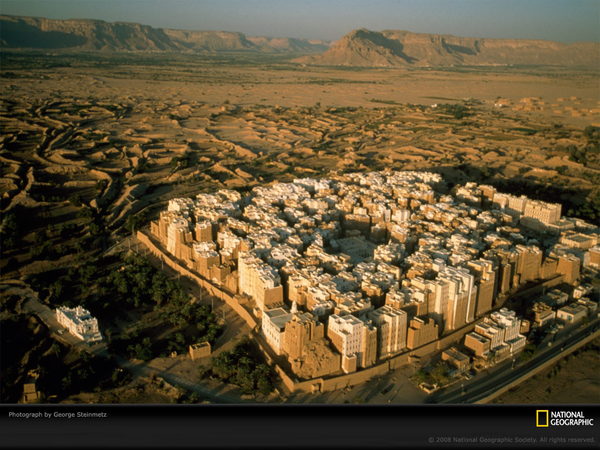 Government efforts to increase domestic agriculture are complicated by the paucity of fresh water in this parched desert nation. 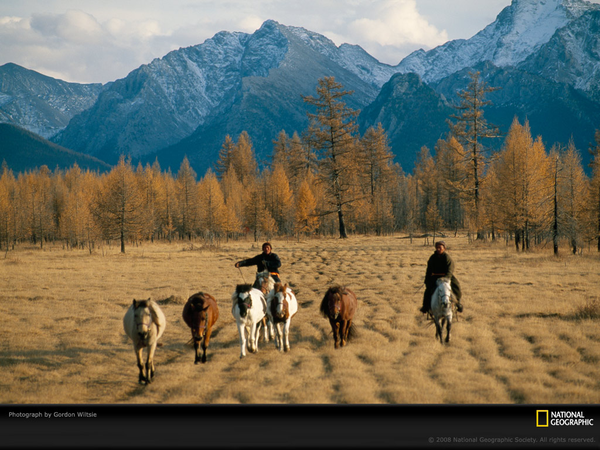 Mongolian herdsmen drive horses back into the Darhad Valley after wintering on the other side of the 10,000-foot (3,000-meter) mountains that rise in the background. People have moved their herds over these mountains for generations. But a government effort to transition Mongolia’s nomadic people to more stable urban lives could soon mean the end of this twice-yearly trek.